When we were in our teenage years, and then into our early adult years, we didn’t have any desire to travel outside of the United States. We didn’t have much interest in the world beyond our borders, and couldn’t see how what was going on in the rest of the world impacted us. With increased technology and travel, our world has changed and our perspective has changed with it. Cell phones, the internet, email, and Skype have shrunk our world with regard to the cost and ease of global communication. International travel, once reserved for the rich and famous, is now commonplace for all. The idea that we can isolate ourselves from the problems of the rest of the world is far more difficult and probably no longer realistic. One area where this has shown to be painfully true is globalization of disease. Over the past few decades we have seen global outbreaks of HIV, AIDS, tuberculosis, SARS, influenza, MERS and of course most recently, Ebola. The cost, both financial and in terms of human suffering, has been staggering. We have come to realize that if we don’t help other countries being challenged with these outbreaks, then we will end up fighting these battles on our own soil. In 2013 we had the opportunity (and privilege) to participate in seminars given in India on environmental infection control specific to tuberculosis (TB). These seminars were conducted by the US CDC and were a wonderful resource for the participants. After participating in the seminar, we realize that something was missing – information on air filtration. Air filtration was seldom mentioned as a potential solution to help control this airborne disease within hospital settings (as is common in hospitals in the US). When asked about this we were told that there was a significant lack of education and training on filtration outside of the US and that presenting it as a solution could actually lead to more harm than good if the technology was not properly implemented. In other words, a bad, inappropriate, or ineffective installation could create a false sense of security within a space where people are at significant risk. After some discussion and being made aware of the training programs available through NAFA, it was agreed that NAFA would assist the CDC in presenting air filtration seminars in India in 2014. This would allow for the expansion of knowledge of filtration and hopefully equip engineers and others so that highly effective filtration solutions could be implemented. 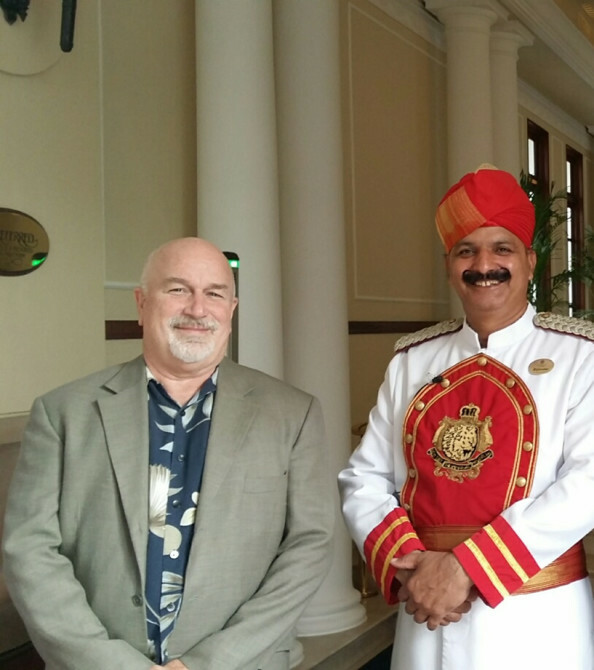 To this end Chris Zaker, current president of NAFA, and I visited New Delhi and Mumbai, India. We participated along side of the US CDC, providing training on air filtration based on the information found in the NAFA Guide to Air Filtration. We taught everything from filtration principles, to HEPA installation and certification. We showed examples of most all types of air filters available in the market today and had extensive discussion of the application of these filters for infectious disease control applications. Training was provided to well over 100 individuals ranging from engineers, to doctors, to infection control specialists. All course participants were provided a NAFA Guide to Air Filtration book. One meeting alone was for over sixty members of ISHRAE which is the India version of ASHRAE. Our work in India is far from over and courses for 2015 are already being planned. During our time in India we saw that there is a great need for air filtration solutions and there is indeed a dearth of knowledge on the subject. 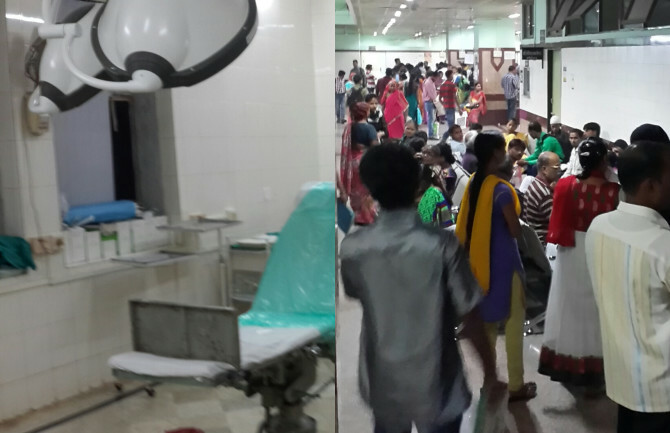 It was shocking to see the vast numbers of tuberculosis cases there and this helped us to realize that this growing problem in India could quickly outpace the resources there and spread beyond their borders. As NAFA members and professionals in air filtration, we believe we have much to offer the world. In order for us to be successful contributors we must do a few things. Raise our own level of systems and product knowledge. Here in the US we are operating within a system that is pretty well defined by others. We can get by with a basic knowledge of our products and how they integrate into a system. In countries were codes are not as rigorous and systems not as uniform in design, it is more important to have in depth understanding of how these various parts work together, allowing us to make more effective recommendations. Increase our knowledge of infectious diseases and what filtration solutions are appropriate. We should always seek to put the most appropriate solution in place for our customers. This does not, however, mean always putting the best system that money can buy in place for every application. Being an expert requires us to know the extent of the problem and put in place a solution that matches the need. This requires us to understand how disease is spread and how our solutions can best interrupt transmission of disease. Increase our knowledge of international and domestic environmental infection control guidelines. As Americans we have a tendency to think that we know what’s best for the rest of the world. Quite frankly, we are often wrong because we don’t consider differences in culture, differences in building design, and the difference in acceptable goals. We need to take ourselves out of the equation, relying on international guidelines to help us to do that. Resist temptation to reinvent the wheel. The WHO, US CDC and other international health organizations have excellent guidelines for the use of air filtration as part of an environmental infection control facility plan. As sales people with quotas to meet and specific products to push, we often feel the pressure or desire to up sell our customers into the highest efficiency system possible. In other parts of the world we have to understand the end user usually has a hard enough time affording the minimum recommendations. Make sure there is a plan for solutions to be sustainable. Any solution is only as good as the plan to keep it working. This is especially true in other countries where resources to maintain equipment are at a premium. Make certain that the solutions we provide are cost effective over the entire ownership period or they will cease to provide the function intended. 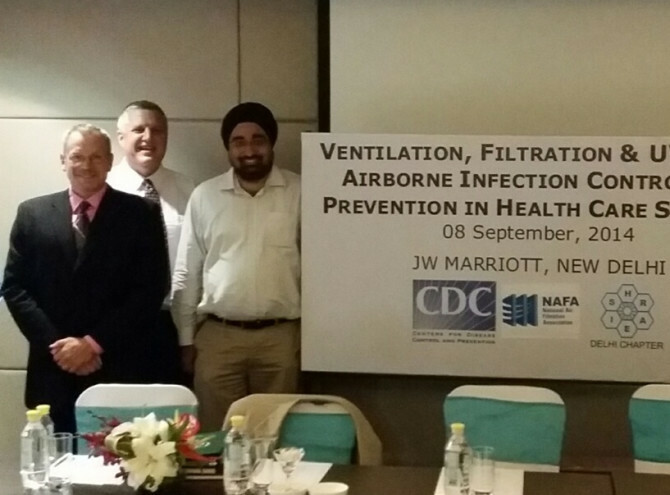 Our recent experience in India working with the US CDC, ISHRAE, and various hospitals in India show that there is a need for NAFA to step up to the plate and become the global leader in air filtration. For NAFA to grow in global importance and influence, it is critical that we stress the ongoing education of our members and become a leader providing “missionary” filtration education in areas of the world where this knowledge is lacking. The solutions that we support should be evidence-based, common sense solutions that are balanced by their cost of ownership and their sustainability. The ever changing world we live in continues to get smaller every day. Conversely, the opportunity to increase our influence and importance within the world is constantly expanding. Let’s not miss this opportunity to have a positive impact on the world.